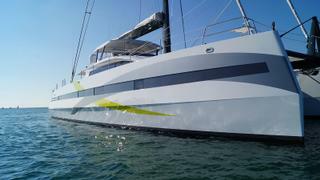 French yard JFA Yachts has delivered its new Long Island 85 sailing catamaranNDS Evolution, which is due to embark on a planned full circumnavigation. 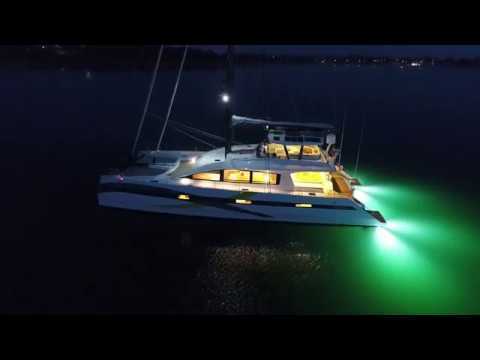 The 26.25 metre multihull superyacht, which was launched in Concarneau in October last year, is set to circumnavigate the globe from Cadiz in Spain. 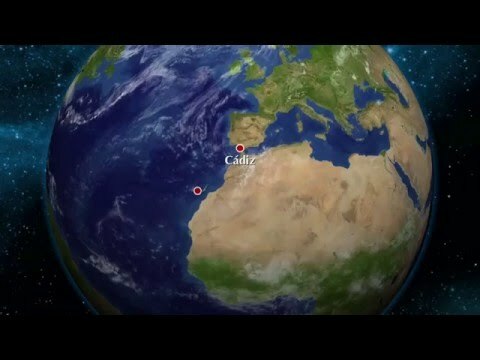 A video (below) has been released by the French yard showing the catamaran's planned route. 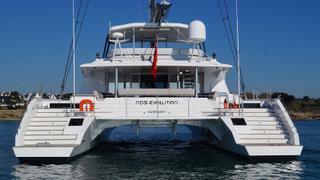 NDS Evolution previously underwent extensive sea trials off the French coast, achieving six knots of speed in just five knots of wind. Designer Marc Lombard styled NDS Evolution's naval architecture and exterior styling, which he described as "simple, powerful, sea-going and refined", while Darnet Design was brought on board to create the yacht's interior décor, which prominently features oak and walnut woodwork. The aluminium hull, composite superstructure and limited use of teak decking set the tone for a lightweight, high-performance yacht, which is backed up by the choice of furniture on board. The end result is an overall displacement of just 56 tonnes. Accommodation is for up to nine guests split across four cabins, including two doubles, two twins and a main deck master cabin — a rare feature among yachts of this size. JFA has given this space direct access to the foredeck, creating an ideal owner’s retreat away from prying eyes. Meanwhile, the crew quarters accommodate a staff of up to two people and a lifting platform on the transom can be used to launch the 4.8 metre tender. Convivial spaces are also plentiful, with a large cockpit complete with an al fresco dining area, a bar and sunpads. Moving inside and the saloon is split into a portside dining area and a bar to starboard. The most notable additional design feature is the flybridge hard top, which comes with a removable isinglass enclosure. When these clear vinyl panels are in place, the space can be comfortably enjoyed even in wintry conditions. For ease of short-handed sailing, the flybridge has also been fitted with hydraulic winches. The 200 square metre sailplan combines with a carbon mast and boom to ensure sprightly sailing performance. Under power, a pair of 380hp Yanmar 6LY3 diesel engines allow for a top speed of 12 knots and comfortable cruising at ten knots. Another notable feature is the shallow draft of just 2.24 metres, which means NDS Evolution can access many of the world’s best anchorages.